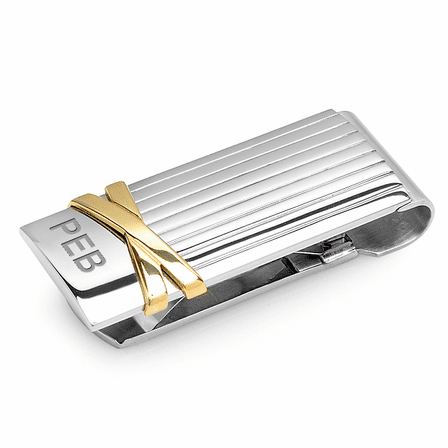 The Ribbon collection money clip is just right for the gentleman who has his own unique sense of style! It's solid stainless steel, with a fold-over layer that's embellished with engine-turned pinstripes. 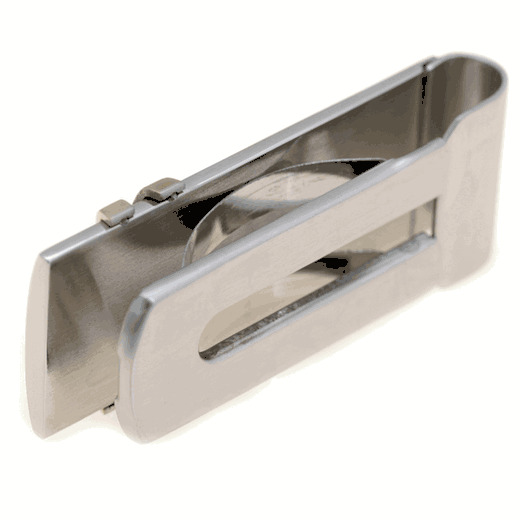 Two gold-plated ribbons criss-cross at one end, dividing the clip to provide a smooth area for free custom engraving of his initials or name. 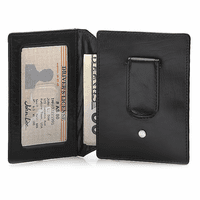 The spring-loaded grip holds up to 20 folded bills, and releases easily to add or remove cash. 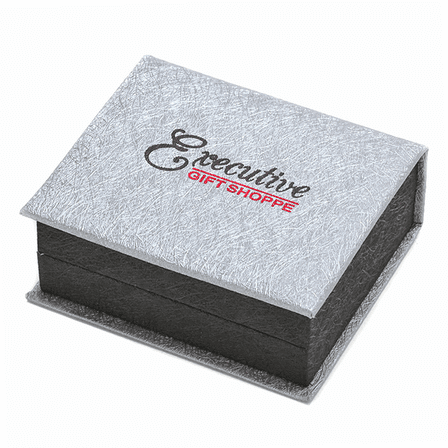 The money clip is packaged in a jewelry gift box, ready to present! 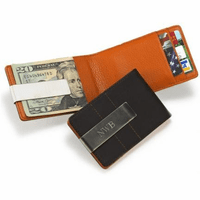 This money clip should be back in stock in 2 to 3 months. I returned one two weeks ago, as instructed, as clip broke and have not received a replacement. I got this for my honey for Christmas--he lost the one that I got him for his Birthday almost a year ago--he was so upset-I'm only sorry that they did not have the same one for me to re-order-but he is happy with this one as well. 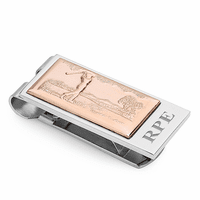 This money clip is designed beautifully. The engraving was terrific and it shipped right away. Love it! Product was well priced and free engraving. Very satisfied with this purchase. A very nice product with extrodinary service. Just what the Doctor ordered..Quality item and the clip is better than the picture..Thanks for the fast shipping. We bought this money clip for our Dad for his Birthday! He is going to love it! Beautiful piece and beautiful engraving!